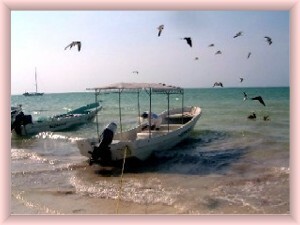 Isla Holbox offers "Three Isle" tour.. Enjoy a few hours at sea observing Isla Pajaros ( bird island), set foot on Isla Passion and refresh yourself at the "Ojo de Agua" natural fresh water spring- cenote in the Yalahau Laguna area. Approximately four hour tour with one of our providers. Reserve your trip now..
For a true tropical hideaway, a visit to Isla de la Pasion or Passion Island is a must. Just a short 15 minute boat ride from Holbox Island, Isla Pasion is peaceful, relaxing, with few visitors . 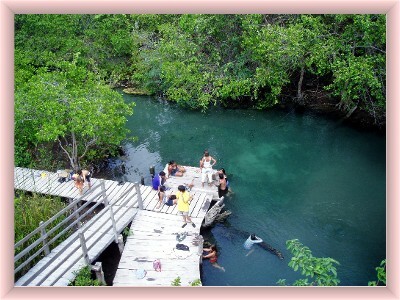 A third interesting adventure by boat from Isla Holbox is a visit to the local "fountain of youth" or Yalahau spring. Yalahau in Mayan, meaning "eye of the water" is a fresh water, crystal clear in color, spring found in the area. For many years it was used by the pirates,Molas and many others as a refuge. This spring was the major source of fresh water ( drinking, cooking )for the people of Holbox island. For many years they brought by boat water for drinking, cooking and bathing. Today it is a natural setting deep in the forest and offers a welcome dip to those who visit. Visit the natural beauty that is near Isla Holbox. 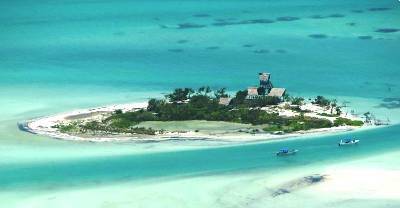 Isla Pajaros or Bird Island is another short boat trip from Holbox Island. Here you can view from the boat the various species that live on the island either year round or stop through on their way to their home regions. The trip takes about 30 minutes from Holbox island. Bird island is small, about 60 meters in diameter and is located in the lagoon Conil sometimes called Lagoon Yalahau. Here too you will see a variety of aquatic birds. Pending the time of year you might be about to see such species as Flamingos, Cormorants, Frigate birds, Grey and white Cranes, wild ducks, gulls, Spoon bills, Herons, Blue, white and tri-colored species, white ibis and many more. It is a place to view wild birds in their natural habitat. Tour the town by golf cart!! 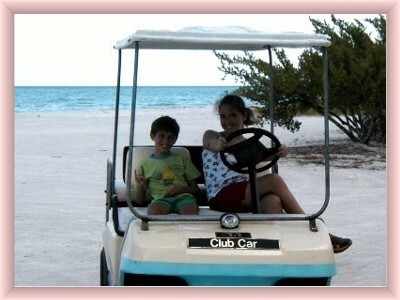 That is right.. No cars are on Holbox island and golf carts are the main means of getting around especially on the all sand roads. Boat trips out to various places such as Boca Iglesia, Cabo Catoche, Rio Lagartas, San Felipe and Punto Mosquito for fishing or snorkeling available. Spend a day shelling. 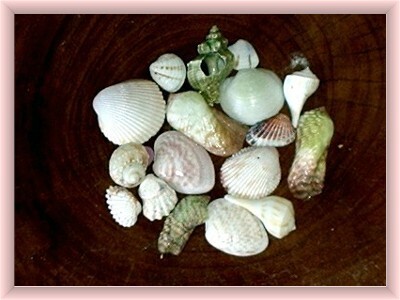 As the waters of the Gulf of Mexico wash up on the Isla Holbox, the island has been blessed with millions of wonderful shells. All sorts of shapes, colors and sizes can be found. Best shelling areas are on the other size of the river, far beach end. 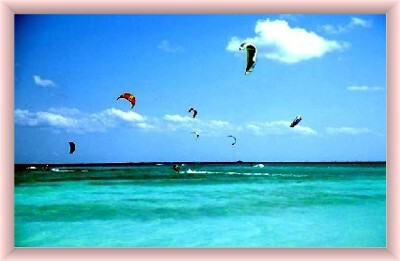 Kite surfing is the newest extreme sport and it is practiced in the waters off of Isla Holbox. You too can learn this sport or come practice it. The winds are perfect for this sport from early September right on thru to mid spring. Come watch. or learn. Lessons available, just inquire for more details. 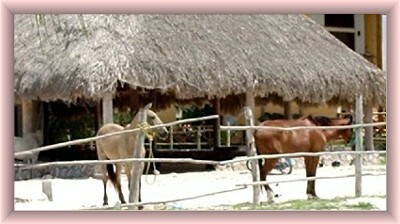 A recent addition to the activities of Isla Holbox is Horseback Riding. For more details visit the stables on the beach near the air strip. 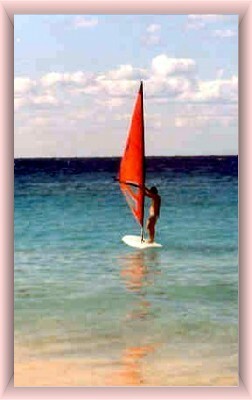 Windsurfing is also another activity done on Isla Holbox. Try Windsurfing While on Isla Holbox! Isla Holbox awaits your visit!! Come see us soon, Friend! !